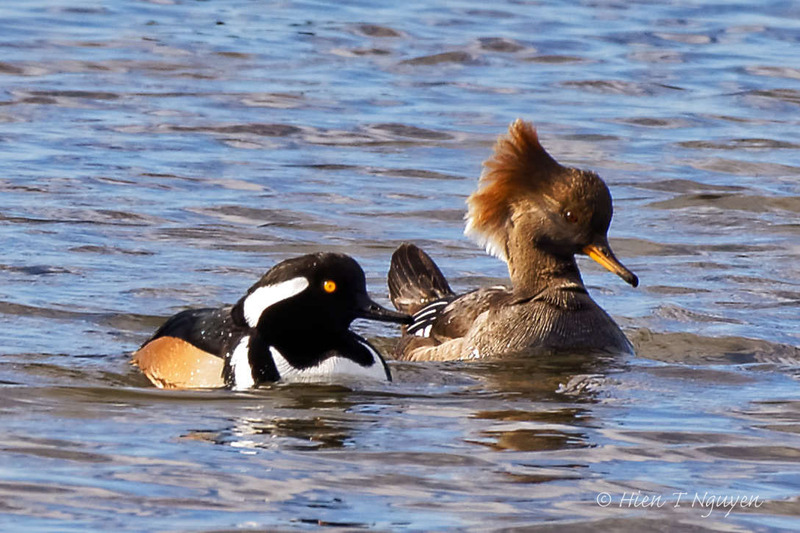 I was away from WP for a while,but I’ll gradually enjoy all your posts which I’ve missed.Absolutely stunned by this gorgeous duck species,the Hooded Merganser,and by your photos Hien!Loved the couple,the female is so different and also loved the photo where Mr.Hooded Merganser was looking up at the beautiful Swan 🙂 Bravo!!! Thanks Doda! 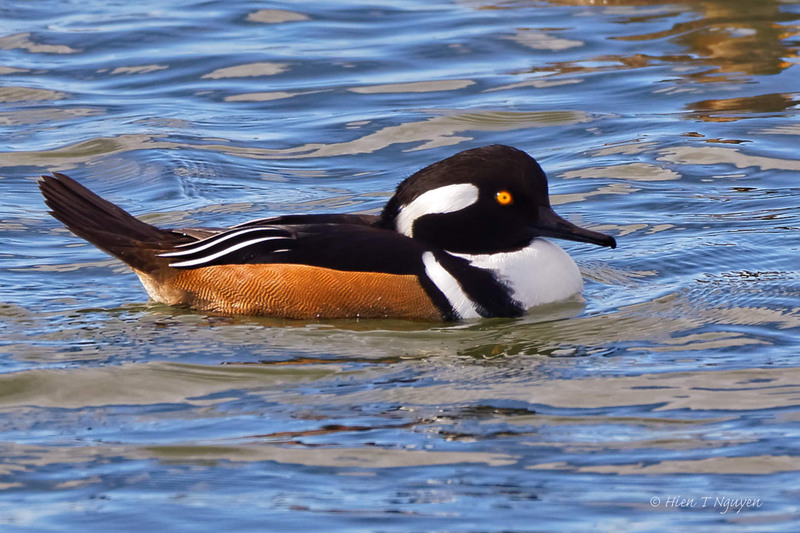 Hooded Mergansers don’t seem to live in Europe, except in captivity, as imports from North America. Aren’t they fabulous? Fantastic photos as always. They do look very cool with their hoods, up or down. Thanks Sue! 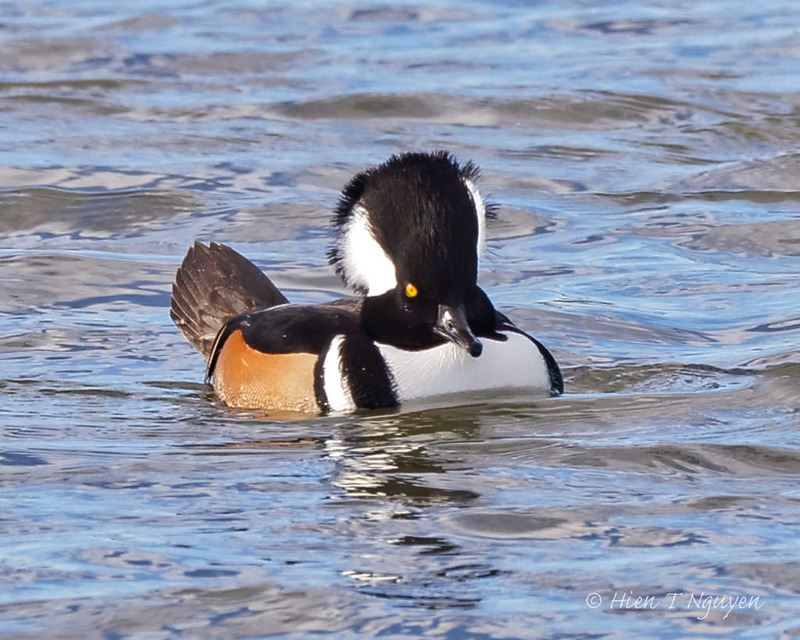 Wonderful Mergansers, Hien! 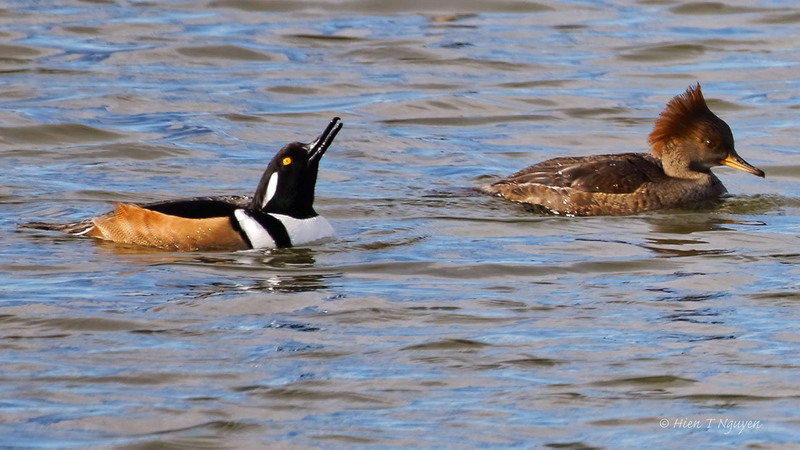 It’s funny the way the female had her crest up but the male didn’t in two of the photos. Very nicely done, as always! 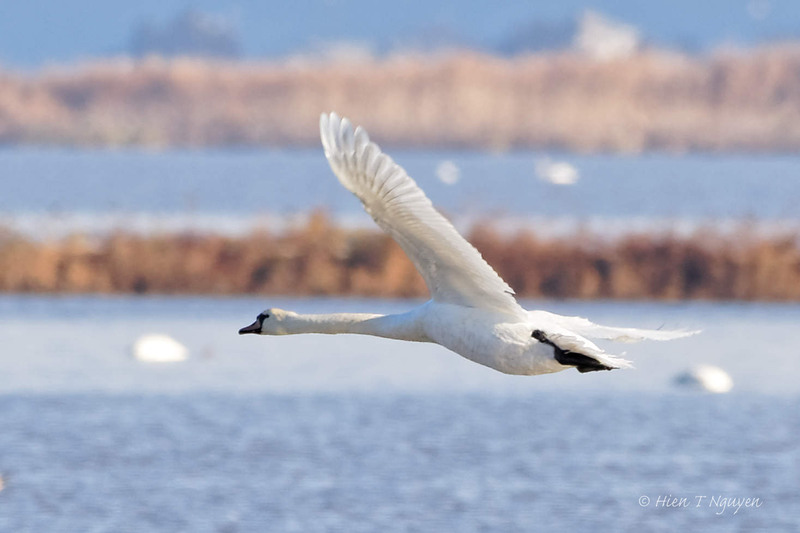 Maybe the males had just been diving. They, both males and females, dove into the water, looking for food, and at times came up with some vegetation in their bills. 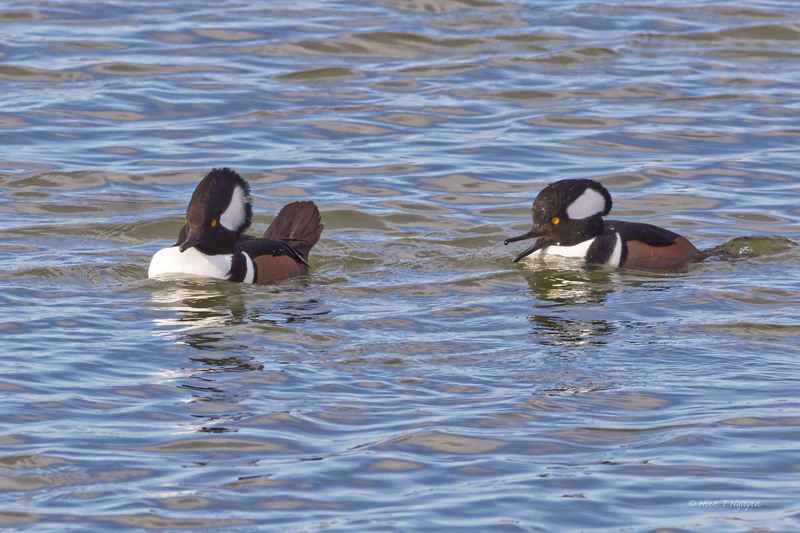 I also love hooded mergansers, but they are very shy around here and I seldom get close to them for photos as good as yours are. Not only are they fun to watch, but to listen to as well as the males try to court the females. Jerry, thanks to your comment, I went and listened to their sounds, very intriguing, unique. Nice set, Hien, esp. love that last one with feather detail and reflections. Thank you Eliza! I think that last one was the closest one as it swam by. Those ducks have a lot of personality, well captured! Thank you Andrew! They are small but with character. Thank you. How did yours turn out? They sure are. Thanks Amy!